Karamba Hostel is located in an early 20th century house, which maintained a fine and entertaining architecture displaying large rooms and high ceilings , freshed up by recycled pallet furniture and lively colors inspired by the romantic city.The property also has a garden and a large terrace offering a breathtaking view embrassing the Cerro Cordillera and the San Agustin elevator, one of Valparaiso's famous funiculars. 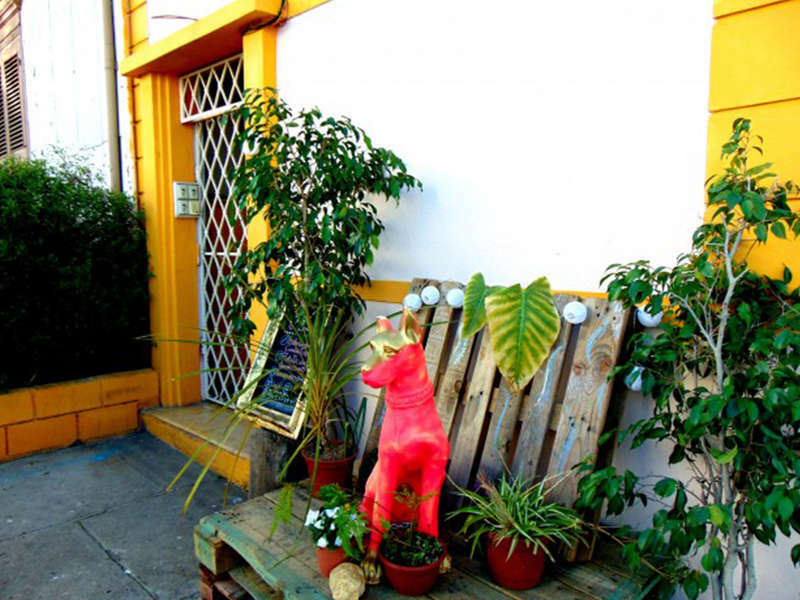 Karamba Hostel is located in Cerro Alegre, in the heart of the world's famous painted streets of Valparaiso. 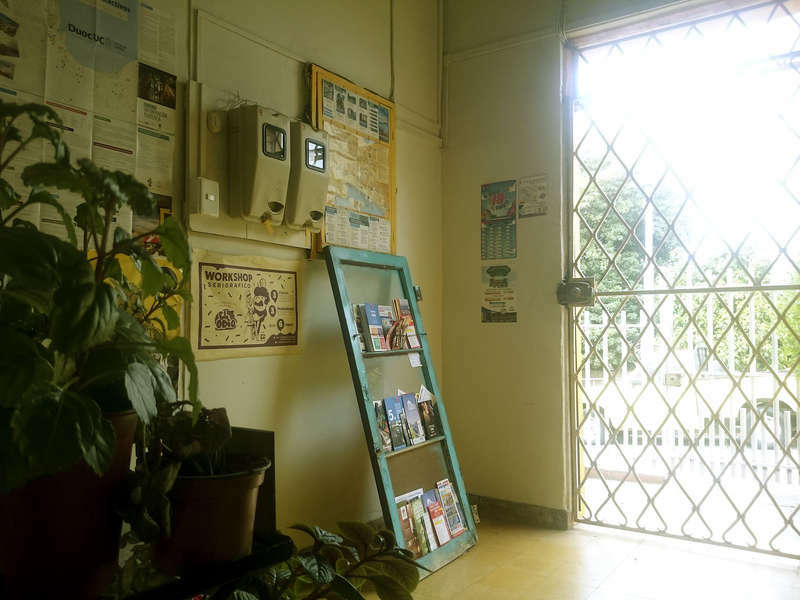 Located in the Montealegre street between Lautaro Rosas and San Enrique street, Karamba Hostel is a few minutes away from the elevators of El Peral, Concepcion and Reina Victoria, but also from the Baburizza palace or the Yugoslavo and Atkinson walks. 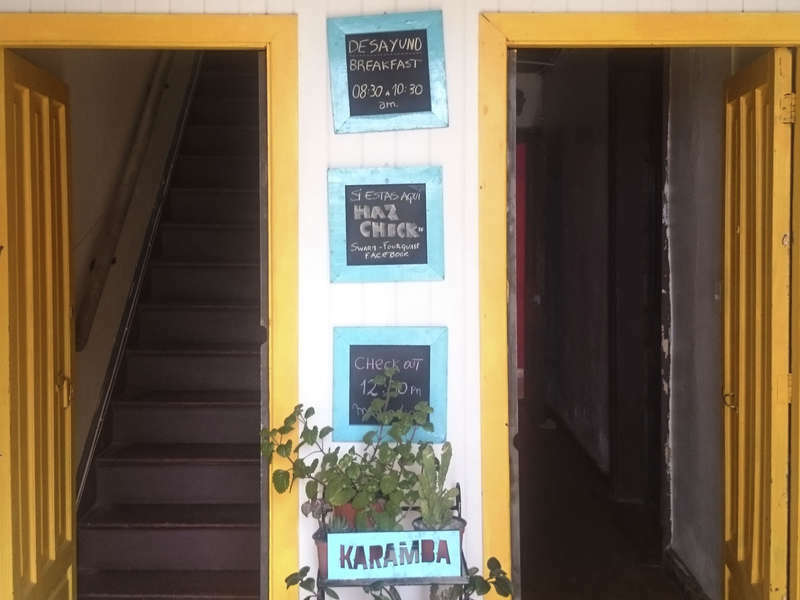 Karamba Hostel has 7 rooms: 2 rooms of 6 beds each,a 4-bed room, a 3-bed room and a couples room (Pallet bed). The property is equipped with kitchen, terrace with panoramic view over the Cerro Cordillera and an Interior Patio. It is possible to come by foot but Valparaiso being built on hills, we recommend that you take public transport, which is cheap and less tiring. Staff can be available to come pick you up by foot if advised 24 hours in advance. Option 2: From the bus terminal, take a shared taxi ('collectivo') numbered 36 or 56 and ask to go to San Enrique Monte Alegre. Option 3: Take any bus that says 'Port' outside the bus terminal. Tell the driver to leave you at the Administration (in front of the Lider supermarket). Outside the leader ,walk to the Plaza Anibal Pinto 2 blocks away. Arriving upon the Plaza Anibal Pinto,take a collectivo (shared black taxi) from Almirante Montt street and ask for San Enrique Monte Alegre.